2018 has been an exciting year in automotive. With many new 2019 Ford models to be released soon, including the all-new 2019 Ranger. The Ford Ranger has been a widely acclaimed truck for being a reliable an efficient truck that gets the job done. However, it’s sale was, unfortunately, discontinued in the U.S. and Canada after 2011 leaving many Ford truck lovers pining for a new and updated Ranger. The Ranger has sold well overseas for the past eight years, with many other car companies trying to replicate the things people loved about it. But try as they may, the Ford Ranger remains one of the most popular trucks sold in the Ford line, considering it’s good resale value and reliability. We have great news for people who miss the Ford Ranger because this year there’s going to be an all-new 2019 Ranger on the U.S. market. Although it will still be a reliable mid-sized truck, the new Ford Ranger for sale will have a myriad of great features and options that were unavailable in the older models. There will be three models available which will be the XL, XLT, and the Lariat. 2019 Ford Ranger Available Specs. The XL is the base model, that features all the basic things about the Ranger that people have come to love over the years as well as a few new features such as adaptive and improved cruise control with sensors that will detect if the car in front of you is slowing down and will follow suit. This feature coupled with an available lane-keeping-system will ensure that you stay safe on the road. The lane-keeping-system will detect when you start to drift out of your lane and alert you so that you can adjust accordingly. Not only this but you will also have the option of Pedestrian Detection, which will activate your brakes if a pedestrian or obstacle will happen to emerge in front of your truck suddenly. In addition to great safety features, you will also find rugged options and packages to help you get nearly any job done. With the towing package, you’ll be able to tow up to 7,500 pounds comfortable, ensuring that this mid-sized truck is a workhorse. You may be wondering what kind of engine they’ve equipped in this new Ranger, and you may be surprised when you find out. It features a 2.3-litre EcoBoost engine, with a 10-speed automatic transmission as the powertrain, which ensures power as much as it does solid fuel economy. It’s closely related to the 280-hp 2.3-liter in the most recent Ford Explorer and similar to the 310-hp version that lives under the hood of the Mustang and makes 270 horsepower with 310 lb-ft of torque. The 2019 Ford Ranger will also be available in 2 or 4 wheel drive as well as many other options and packages at our Ford dealers in Wisconsin. With the Ford Ranger 4x4 package, you’ll get all-terrain tires, dampers tuned for off-road, steel bash and skid plates, as well as the Terrain Management System that comes in the Raptor models. This will allow your Ranger to adapt to any terrain you may encounter so that you can conquer nearly anything in your path. In addition to a technology upgrade to the overall mechanics of the Ranger, there will also be options for various interior options. Many older Rangers were rather bare as far as entertainment went and usually featured a rather basic stereo and AM/FM radio. The 2019 model will also feature room for five, under-seat storage in the rear, and dual LCD info screens in the instrument panel. 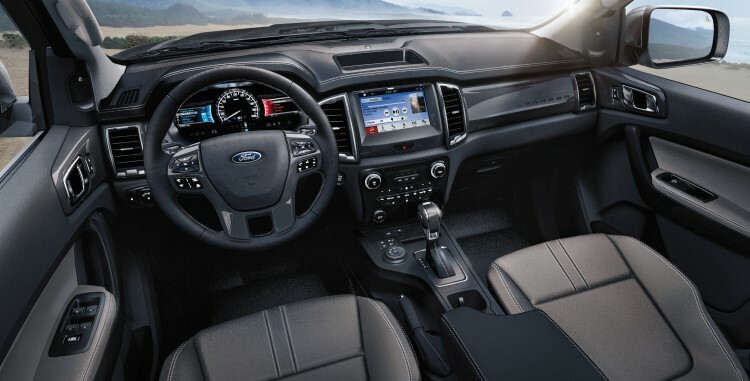 In addition, Sync 3 brings Apple CarPlay and Android Auto compatibility, Ford+Alexa personal-assistant functionality, optional navigation, and an 8.0-inch center touchscreen. You will even have the option to include a mobile hot-spot, which can allow up to 10 devices to connect and use your data up to 50 feet away from your truck. 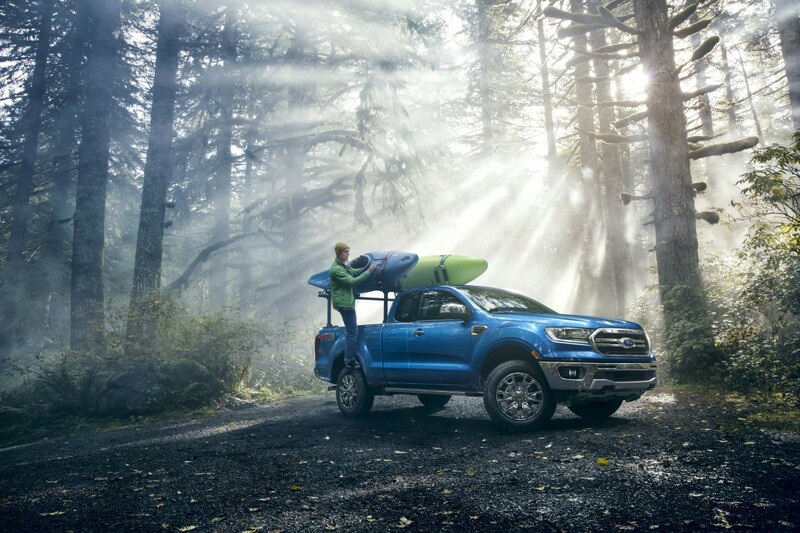 Unlike the F-150, the ranger is more geared towards outdoors enthusiasts as opposed to commercial uses, making it an excellent vehicle for those who like to hike, kayak, mountain bike, or any other outdoor activities. Many are excited by the new 2019 Ford Ranger, however, many in the U.S. will be sad to find out the Ford Ranger Raptor will not be coming to the United States. 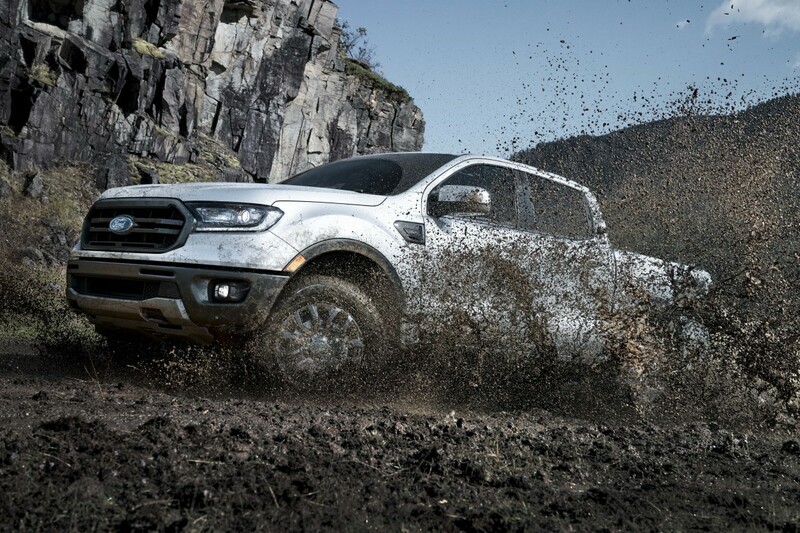 The Ford Ranger Raptor features a lot of the same features, but bulked up and faster. Just imagine the new Ranger, but with even more power and off-road capabilities. Although this may be disappointing news, you don’t need to despair. You’ll have the all-new 2019 Ford Ranger for sale in the United States at our dealership. Our Ford dealers in Wisconsin are excited to offer the next member of the Ranger family. You’ll be sure to fall in love with this rugged yet refined vehicle after one test drive. With production on them in the works, you can pre-order a Ford Ranger for sale at our Ford dealers in Wisconsin, and even customize it from the Ford website. You’ll be able to specify the packages and features as well as the color you’d like your Ranger to be. This allows you to personalize your truck to your liking so that you can have all the things you need available to you in one simple package. Our Ford dealers in Wisconsin will work to provide flexible financing, leasing, or buying options on a new 2019 Ford Ranger for sale. You’ll be sure to take advantage of one of America’s favorite pickup trucks. With the 2019 Ranger being available for a reasonable price at around 24k for the base model, it will not only be a great truck to fit nearly all needs but also an affordable option. With the release date fast approaching, you’ll be able to find a Ford Ranger for sale at our reputable Ford dealers in Wisconsin with packages and features that are sure to be just right for you. Give us a call today so that we can alert you when we receive these incredible trucks on our lot. We can assure that you’ll be impressed and excited about the remix of a classic Ford vehicle that has been a staple throughout the decades. Chances are they will go fast once they make their way to our Ford dealership in Milwaukee, so be sure to call ahead so that we can schedule a test drive as soon as we have them. Come and find a reliable new Ford Ranger 4x4 for sale at our Wisconsin Ford truck dealers and you will certainly not regret it!